And I will be giving away some great gifts to anyone who chooses to take the time and assist me. I am launching a new global marketing campaign for my work, and I'd like to get the ball rolling with friends, family and people that I know. I'd like to open the door to new clients, and new opportunities -- and have a little fun in the process. I'd like to invite YOU to be part of this campaign. Hi, you know me as Jon, but I am also known to many as "The Brand Man". I develop professional brands and brand ideas for big companies, small businesses, retail stores, organizations, churches, schools, hospitals, clinics, celebrities, musicians, actors, entertainers, politicians, and more from all over the world. I've helped clients with projects ranging from catchy names for YouTube channels, to emotional identities for non-profit world organizations, promotional imagery for a Country Music star, even campaign brands that have helped politicians pursue and win elections. I help these people and businesses define who they are, so that they can reach the people that need them the most. To date, I have developed more than 7,000 brands and brand ideas for over 2,000 unique businesses and individuals in 77 countries. I've become quite good at what I do. You may know me as a relatively quiet and reserved person, but I have had a big impact around the world! So, that being said, and work introduction aside, here's where I need your help. My new promotional campaign could use some early supporters and investors. But when I say "investors", it probably isn't what you think. I offer my services on a popular freelance website known as "Fiverr". Fiverr is an online platform where businesses and individuals can find great professional services at prices far lower than the big business firms offer. I help my clients build their brands with basic brand packages starting from $5 to $80. It's what I do for a living. I'd like to invite you to challenge me with YOUR brand, name or identity request, and thereby help me get my promotional campaign off the ground. I'd like to encourage you to consider investing in my $5 brand development "Sample Package" on my brand service page (linked below). By doing so, you will be helping to add more visibility to that service during this campaign, you open the door for more reviews of my services (from people who know me best), and you help give a new burst of life to what I do best. 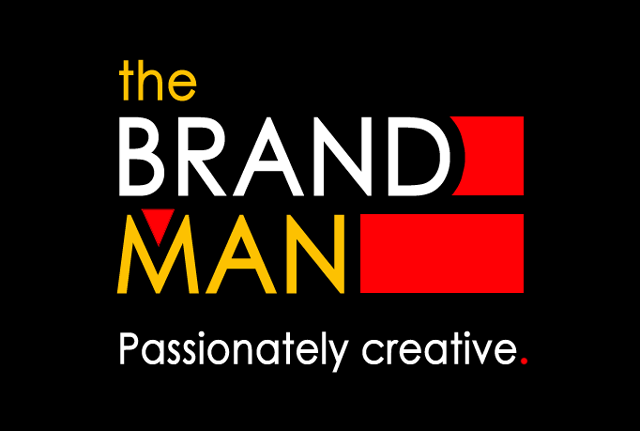 Here is my "Brand Man" brand development page. As a thank-you for helping me, if you choose to invest in that $5 name or tagline brand package -- if you hire me to develop a brand or identity for something -- I will deliver the advanced services of my $40 3-name brand development package INSTEAD of the basic services available in your $5 "Sample Package". You'll be pursuing a $5 investment, but receiving my $40 package worth over $100. If you place an order, use the keyword "TERRANOVA" in your order details, and you will be instantly upgraded. In addition, every person who reads this, and chooses to invest in my $5 invitation, will also be able to qualify for my other popular professional service -- logo design (which I've been pursuing for over 20 years). Everyone who uses the keyword "TERRANOVA" in their order (and mentions their name, so I know who you are) will qualify to be randomly selected on Friday, August 11, to receive one free, professional, custom logo design of their choosing (one logo winner only). I'm looking to kick off my new "Brand Man" brand development service global promotion, and I'd like to be generous in thanking anyone who chooses to help me! If you need some name ideas for a project you're working on; if you run a business and need a new brand or brand identity for that business (or a product you sell); if you know a business or friend that needs a new brand, tagline or logo; or, if you just want to help me out, and present me with a fun name/tagline challenge, please consider investing $5 in my "Brand Man" offer. If you have questions or comments, please share them below. Let's see how far this exciting new campaign can go! So, as you know, I've been away from blogging for a while. A long while. And it wasn't because I lost interest in blogging. No, actually, I can can blame Facebook for that. Facebook, and all of its wonderful ways of facilitating social communication became too easy -- too convenient. If I had something to say, I'd just post it on Facebook -- and the comment response would be instantaneous. No blog comments, no back-links, just wonderful, captivating social media. The thing is, though, this blog is actually among the grandfathers of the blogging world. And I feel terrible that the modern draw of social media, pulled me away from this well-established community. But... then again, even my many blog readers moved over to Facebook, so, I suppose, in a way, I really don't have anything to feel bad about. Technology shifted, and the once-dominant blogging world took a back seat to the shiny baubles of social media. History has a way of doing that. But, I do still love this blog. I love the history that was built here. I love my readers. I love the stories. I love the discoveries. I can't leave this part of me unattended, barren, and full of echoes. That just doesn't seem right. So, I'm back. I'm going to breathe life back into this blog. I'm going to revive its forgotten history. What will come of that, though, remains to be seen. A lot has happened during my time away. So, as a recap, and to kick things off again, I'm going to share four things about me that you missed during my blogging hiatus. 1.) -- I almost moved to Kansas. -- My wife is a teacher here in Brillion, Wisconsin. A few months ago, she received a call from a small church in Salina, Kansas, asking her to administer their early childhood program. It was a tough decision -- contemplating whether to move to a new state (in the middle of nowhere), or stay here, in familiar Wisconsin. Ultimately, we chose to stay here in Wisconsin. But it was a close decision. I almost became a Kansan. 2.) -- My wife and I bought a house. -- While this was mentioned shortly before my hiatus, it was still new at the time. Every other place I've lived (after going off to college, and graduating) was a rented apartment. Now, here I am.... a home-owner. It's been two years now -- two years since we bought this house -- and we couldn't be happier! These are OUR walls, OUR roof.... OUR back yard. We have real, legitimate roots in the community, and that feels fantastic! 3.) -- I have purple polka-dotted feet. -- It may sound silly, but I'm serious. Painfully serious. Last year (in Spring), I contracted what is known as allergic vasculitis. And yes, it sounds as bad as it was. In short, I developed dime and quarter-sized holes in the tops and sides of both of my feet -- nasty, unattractive, extremely painful holes caused by some unknown allergic reaction. I couldn't walk, and when I did, I hobbled with a cane. I wore bandages for months; I was on steroids and antibiotics; my feet were too swollen to wear shoes -- it was extremely unpleasant. After consulting a few baffled doctors, it was determined that I had most likely experienced an extreme allergic reaction to something that had severely damaged the tissue in my feet. Those nasty holes were the result. After finally getting the treatment that I needed, my feet slowly began to heal, and those nasty wounds closed up. I am, however, left with purple-scarred feet -- multiple, purple, coin-sized scars where those nasty holes once were. 4.) -- I acted in a Star Trek episode with Walter Koenig and Nichelle Nichols. -- Yep. I acted with two beloved icons of Star Trek -- the original Chekov and Uhura. Technically, we recorded our lines separately, and I wasn't in the recording booth at the same time they were, but my character experiences the story right there with them. It was a unique, once-in-a-lifetime experience, and one that I was honored to be a part of! The episode was part of the fourth season of Starship Excelsior. It was written and produced in honor of the 50th Anniversary of Star Trek. If you want to listen to the feature-length episode, select "Tomorrow's Excelsior" on the Starship Excelsior website. I'm not a marathon runner myself, but I do have to admit, this looks like fun! Alright. It's 2017, and I promised a come-back, so..... let's do this! The hiatus is over. This blog is back in business. As most of you have noticed by now, my blog has been on hiatus for the past two years while other non-blogging projects have taken precedence. Fear not, though, my writings will return in the new year. For now, if you wish to follow me online, or interact with me on a daily basis, I can always be found on Facebook at facebook/jonbaas. Stay tuned for more blogging to resume in 2017. My Jon Baas blog has been on the internet since 2002. It may be on pause right now, but its not going anywhere. Stay tuned. I'll be back soon! I have achieved many wonderful things in my life. I have created amazing things out of nothing. I have built popular stories and fictional universes that hundreds -- even thousands -- of people enjoy. I am hugely successful at most of the projects I undertake. I have experienced things others can only dream of. I strive to be respectable, trusted, determined.... remembered. But I am not, nor will I ever be great. I am little. I am tiny. I am a miniscule success story in this world -- in this vast universe -- that I am part of. God alone is great. And when I consider my own amazing achievements in this life, I am but a single speck of sand on an endless beach compared to what God has engineered. God... is great. I am but a tiny reflection of a tiny part of Him. I have been wonderfully engineered, from the muscles that give me strength to the unique and complex DNA that makes me who I am. I have been created out of nothing, beginning life as nothing more than cells combining on a microscopic level. I have been given the breath of life, a gift only God can provide. I have been given intelligence and granted the right to choose my own path in life. I have been blessed with wonderful things I could never have obtained without God's wisdom and love. And I have been eternally redeemed from the death of sin I was born with -- a victory only Christ himself could achieve. I am successful. I may be amazing. But only God is great. The process to obtain the new Baas House continues. This evening, my wife and I attended a first time home buyers class in a nearby city. It's a class designed to help people understand the process of buying their first house. It's also a requirement for a home buyers grant we're hoping to secure. While most of the people in the class seemed to be at an early pre-offer stage, Kelli and I have already signed an offer on a house, we're working with a realtor, we've completed the home inspection, and we're proceeding with the funding process. We're a lot further along by comparison. To be honest, I was a bit dubious going into this class. I'm not thrilled by classroom adult-learning settings. They aren't an engaging environment for me. The idea of desks, a chalkboard (or it's comparable modern equivalent), and a teacher/professor droning on about a topic is the exact opposite of exciting. If that's the nature of a "class", just give me the text book, and let me read about the topic myself. Thankfully, the teacher for this class was an interesting man. He teaches these classes regularly, and he knows his stuff. He made it engaging enough to keep my attention, and, although Kelli and I have already worked with much of this stuff first-hand already, I still managed to learn a few things. That definitely made the class worthwhile. What moved me the most, though, was a detail that was revealed later in the 3-hour class. Our teacher was explaining a few concepts related to home insurance, home safety and the like. He was answering some great class questions, when he stopped a moment and added, "here, let me show you something." Digging around in his laptop files for a few moments, he opened a file, and had it displayed on the large flat screen television mounted on the classroom wall (the "chalkboard" of the room). It was a photo of a nice house.... that had just burned to the ground. Some of the debris was still smoldering. After a moment of silence while the class looked at the photo, our teacher quietly informed us that this was a photo of his house. It had burned down two months ago -- in March. An electrical malfunction in his car, while it was parked in the attached garage, ignited flames, which spread to the rest of the house, and destroyed everything. He and his wife were home at the time; neither of them were hurt. But the house, and everything in it, was a total loss. The mood in the room changed instantly. My heart sank. The man teaching us about safely buying our first home, had just lost his -- a brand new house he and his wife had built ten years ago. It struck home, and it did so in an extraordinarily poignant way. Anything can happen -- even the most unexpected of events. Being prepared, and knowing how to deal with the challenges of home ownership is vital -- long before you move into a new house. I really felt for the man, though. It physically hurt to see his life burned to the ground in one night. Yes, that fire had happened two months ago, the ruins of his house had already been torn down, and he was already planning to rebuild on the same foundation, but it still hurt. It was a painful revelation. But, on the other hand, given what the man does, and how his job is to help new home buyers..... that was one heck of a lesson and a powerful visual aid. Tonight was actually the first part of a two-day class. The second part is next Wednesday. Believe it or not, I'm actually looking forward to the rest of this class. So, my wife and I took a new step in life this week -- we're buying our first house. Up until now (for the past five years) we've been living in a nice apartment building. But the time has come to upgrade to something more permanent. So, earlier this week, we made an offer on a house here in Brillion, the offer was countered by the seller, and we accepted. It's legally binding now.... if everything else falls into place (as we anticipate it will), when we close in the near future, the house will be ours. It's an exciting step. I've never owned a house before. I've lived in many different houses and apartments in my life -- in many cities -- I've moved far more often than I would have liked -- but I, personally, have never owned a house. The nice thing is, though, this is a great house, great location, great neighborhood. We both like it. It has many things our present residence does not. I'm certainly looking forward to the joys and challenges of home ownership, and the growth opportunities it presents, but I can't say that I'm eager for yet another move. The good thing is, though, when you own a house, the chances of moving drop significantly. I can live with that. It'll be a place to settle into, and a place to truly call home. I won't say much about the house at this point, there are still a few post-signing steps to complete, and then, of course, there's closing. But when that happens, expect to hear more details. It's a big step, but it's a big step forward. And in life, that's always a good direction to travel. I went to see Avengers: Age of Ultron last night, and I'll be completely honest, it was a fantastic ride! The story was solid, the special effects were jaw-dropping, and James Spader was pure evil (and sounded it too!). If you haven't seen this film yet, go see it. According to reports, Avengers: Age of Ulron made $27.6 million in domestic ticket sales on Thursday alone. Even before the official opening day here in the United States, the movie has already brought in $287.3 million internationally. And, if the excitement on social media is any indication, I have a feeling it will be breaking a few cinema profit records. Go see this film. For your convenience, here's the official film trailer. "Avengers: Age Of Ultron Debuts With $27.6 Million In Opening Night"
In my continued efforts to remodel JonBaas.com, my site forum has now been upgraded. I've widened and reworked the layout (with more expansion coming soon), I've updated the design, improved the navigation, and added some new features for members. I'll be working to promote this forum as an active community in the coming days and weeks, but for now, the forum is up and running. Stop by for a visit, set up a profile, join a discussion. Let's see where this goes! As some of you already know, I've become a big fan of Marvel in recent years -- primarily because of "Avengers" and their other related film and television efforts. My personal favorite Marvel superhero is, without a doubt, Captain America. There's just something fascinating about his down-to-earth personality that I like. He's a character you can't help admiring. In fact, that seems to be the angle I take in all of my superhero fandom. Even in the DC universe, I side more with Green Arrow (as seen in the television series, "Arrow"). He's a human character thrust into a good versus bad world, not because he wants to, but because he has to -- to save the city he loves. He's a superhero, without a super power. Lately, I've become a fan of yet another superhero, Marvel's Daredevil -- not the Ben Affleck film version, no, the Charlie Cox television version released on Netflix. There's just something remarkably compelling about a blind man using his heightened senses to fight crime on the streets of New York City at night, while fighting injustice by day as a lawyer. If you're a fan of Marvel, superheroes, or even just a great, well-written thrill ride of a story, look for Daredevil on Netflix. Grab your popcorn and binge-watch. Season one is available in it's entirety, and it's well worth your time. Although, I will warn you, it's a darker breed of superhero. Darker.... but nonetheless addictive. Blue Man Group.... In A Room. What happens when you put three blue men in a room? Well, as promised, the update to my website has been completed; the new pages have been uploaded. JonBaas.com 2.0 is live and ready to enjoy! Of course, you'll notice that the site still bears the same basic format as the previous rendition -- that was intended (I like the simplicity of the design), however, it's a complete bottom-up overhaul. I've re-coded everything to make it cleaner, fresher, and easier to read. I've adjusted the color scheme, giving the blues a more welcoming feel. I've increased the site width and font size, I've even updated the content across all pages. It's a new site for a new era. If you happen to see any errors, though, please let me know. Send me a message, post a comment, however is most convenient for you, and I'll take care of it asap. How cool is this! The elevators to the observatory at the top of the new 1 World Trade Center in Manhattan show an animated time lapse video recreating the development of New York City's skyline, from the 1500s until today. You'll even see one of the old World Trade Center towers appear for a moment, and then fade away, memorializing the old towers that once stood on that very same spot. It's a short video, but well worth your time. Watch and enjoy.